The Toyota and Denham-Blythe Company partnership is centered around a consistent track record of projects that uphold safety, maintain client production, and are completed on-schedule. We employ a continuous on-site staff of superintendents and craftsmen at the Georgetown, Kentucky campus. 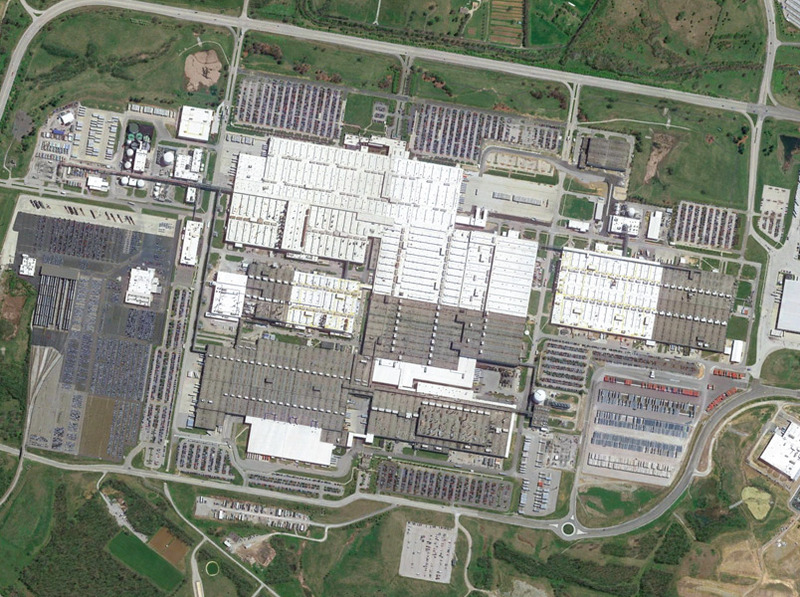 Our projects with Toyota range from site improvements to major expansions, without disrupting facility production. "It’s very satisfying to be part of a team on a well-planned, well-supervised, and well-executed project. Their commitment to quality, innovation, and safety is evident from the very first project meeting." 10 plants. 1,500 dealerships. 137,000 dedicated U.S. employees. and 26 million vehicles built in the U.S. and counting. In 2017, Toyota invested $1.33 billion in TMMK to introduce Toyota New Global Architecture and $120 million to expand 2.5- liter engine production. Today, TMMK represents a $7 billion investment.